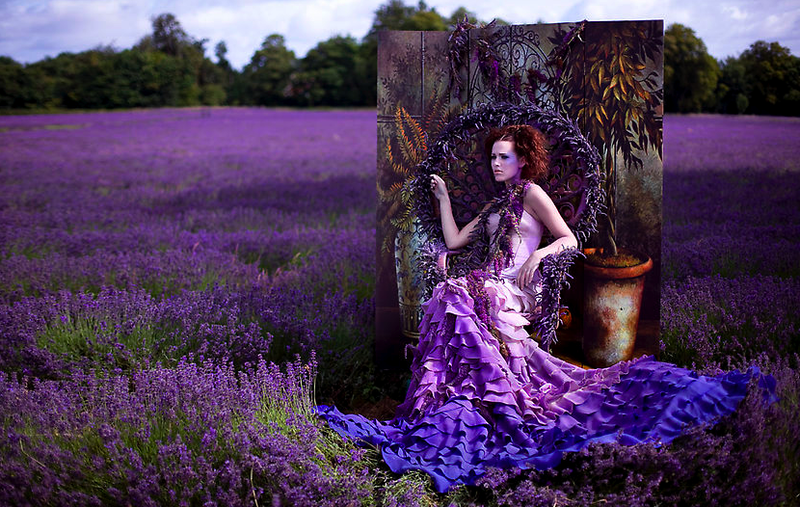 I first came across Kirsty Mitchell's photography on Design Don't Panic. 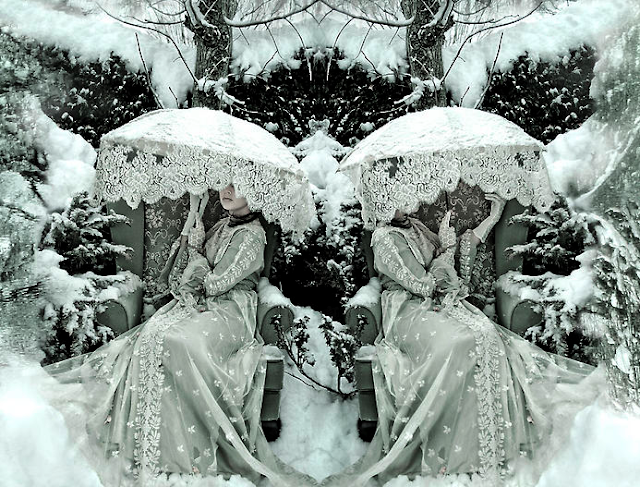 With their dream-like quality and oft-technicolor palette, I was planning to save these images from her "Wonderland" series for a cold, blustery day. Today wasn't bad in the scheme of a New England winter, but with a sinus infection and a deadline looming, I could stand to spend a little time in Wonderland right now. As a full-time fashion designer, it was only in 2007 that personal illness led Kirsty to pick up a camera. Her mother's death a year later further impacted her vision of the world and her work, eventually bringing her to "Wonderland." Here she combines her background as a fashion and costume designer with the memory of the stories her mother told her as a child growing up in Kent (otherwise known as the "Garden of England"). 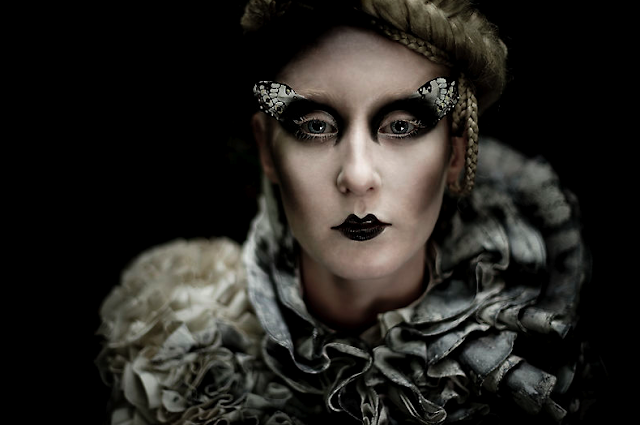 Kirsty and a small team created all aspects of the images, from costumes and wigs to props and set design. 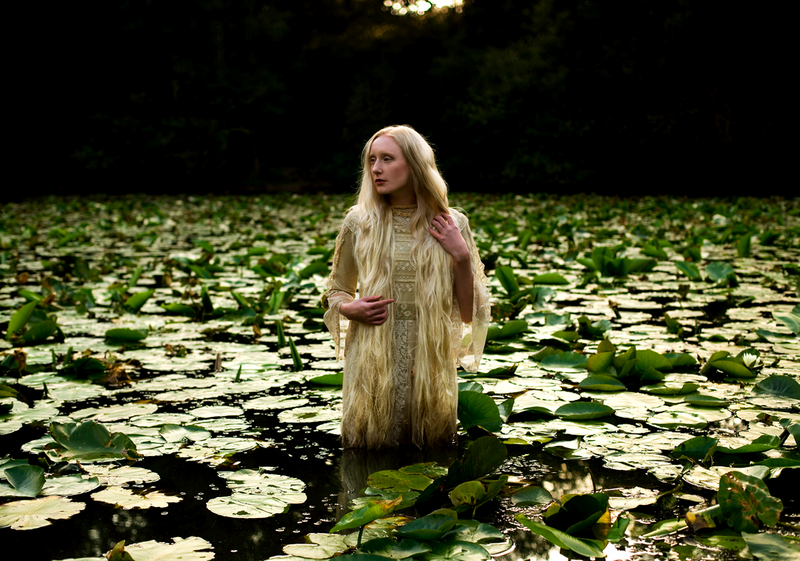 Pairing these creations with the natural landscape, a magical world began to emerge, and Kirsty has no intent of ending the project until the timing feels right. She continues to shoot "Wonderland" in the English countryside a year and a half after she began. wow, marissa-- these are pure MAGIC! wow! 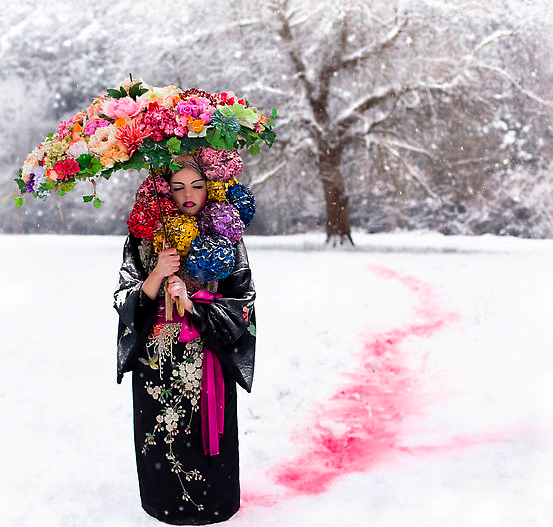 not much else to say..I agree with Meri-that geisha with the umbrella in the snow is my favorite. i love all of them... they have such a magical feeling! These pictures are gorgeous. These are the types of photos I turn to when I can't find inspiration. Thanks so much for sharing, I can't wait to see the photographers other work. oh my gosh, DDYYYIIIINNNNGGG <3 these are perfection. SUCH magic! these pics are AMAZING! so inspiring!! the first one is incredible!! colours are perfect!! love them a lot!! Hello to my new favorite photographer! These are amazing. The color, composition, styling... everything is just spot on. The first one especially is just magnificent. I can't get enough of those jewel tones! Thank you all for your comments. I'm glad to hear you love these as much as I do! WOW.. those pictures were gorgeous..
thank you so much for following my blog. Your blog is amazing. I'm following! These are beyond, beyond amazing! Thanks for introducing me to this photographer. The first picture looks amazing.. WONDERFUL!! 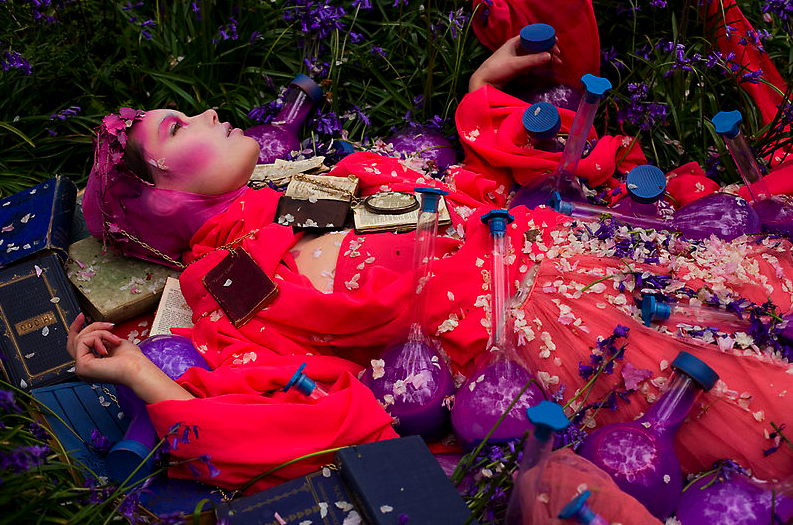 wow, this editorial is AWSOME!Thanks for sharing!